For pet parents on the go, the Small Pet Portable Roller Carrier takes innovation and fashion to the next level. 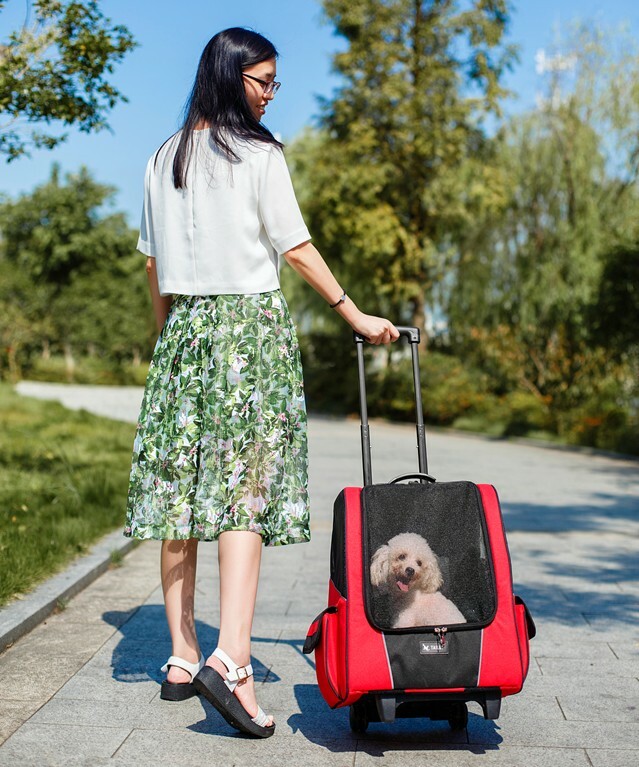 This Roller Carrier has a platform to prevent your pet from tipping over as it’s pulled from behind and pads so he can sit back and relax on his journey. Top and front doors allow for easy access and mesh side windows provide plenty of airflow. Side storage pockets let you pack leashes, treats and toys, and hide-away shoulder straps turn this Roller Carrier into a backpack so you can travel up stairs, on escalators or over rough terrain. Carrier measures 34x25x44 cm. 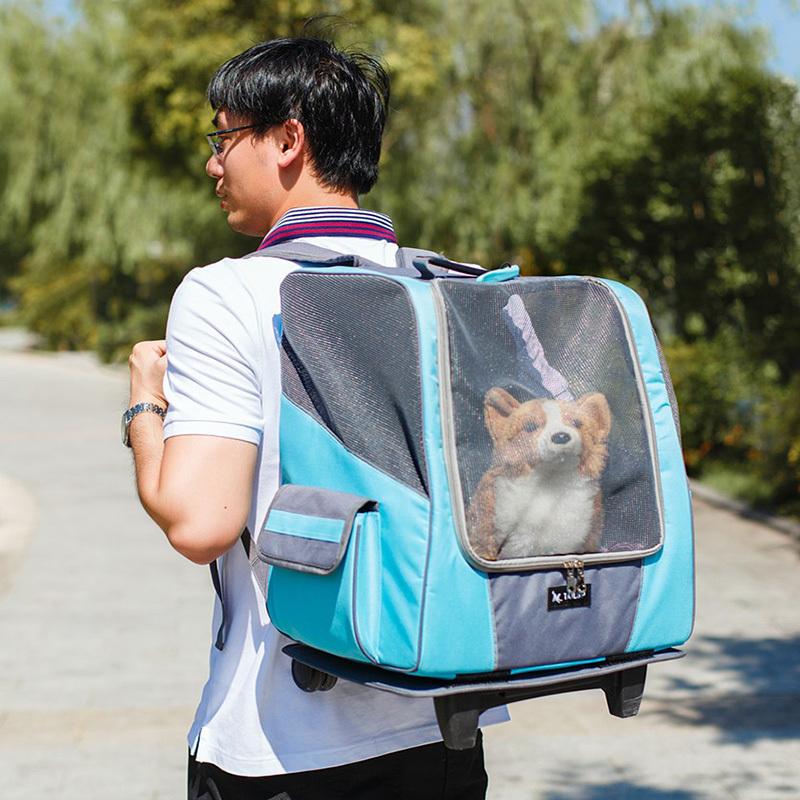 Pack your pet in style and comfort. 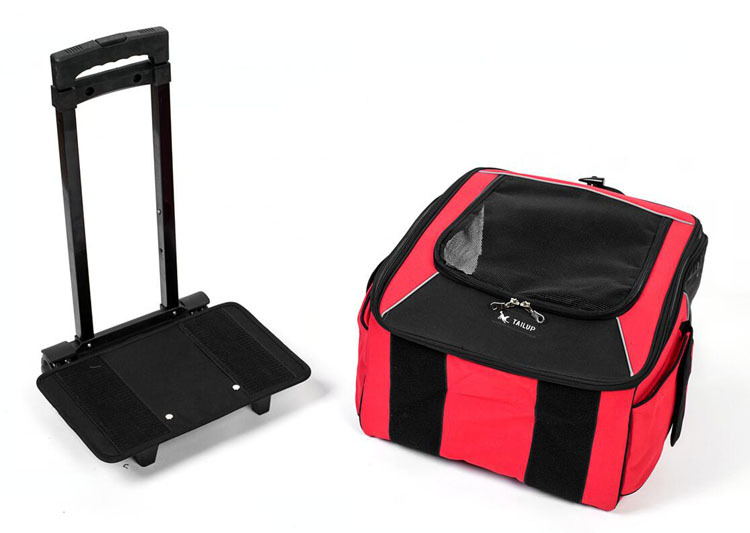 Features a platform and pads which allows your pet to be extremely comfortable during travel. Top and front zippered openings for easy access while 2 side storage pockets hold leashes, toys, treats, or waste bags. Mesh panels gives your pet ventilation and breathable comfort. Multi-stage telescope handle is designed with your own comfort in mind. Adjust it to your preferred height as you roll to your flight gate. Convertible design is prepared for just about anything. Functions as a carrier on wheels, a backpack or even a pet bed-which lets your pet take a snooze in the event your flight gets delayed.